Makayla Jade & Dave Harris are a young, married couple working together to make it all happen. Listen to a bit of their story and find out about their struggles, what they’ve learned over the past few years, and where they’re headed. 0:17 We just met at Shutterfest…for real. 9:22 What are you excited about that’s coming up? Makayla Jade & Dave Harris, owners of The Harris Company, developed a brand distinguished by providing an elevated photo/ cinema client experience, propelling their business to reaching multiple six-figures, serving clients all over the northeast, in less than 3 years. Rather than focusing on a specific style of photography, they’ve built a conglomerate of brands ranging from weddings, commercial films, and studio portraiture, all targeting a niche clientele that places a high value on printed products & photographic art. With backgrounds in finance and consulting, paired with a passion for the creative industries, Dave and Makayla are recognized for their business ingenuity and marketing efforts. Featured in major industry magazines & conferences, Makayla and Dave sharing techniques involving business systems, brand marketing, and unique approach to educating clients about the importance of print and investing in heirlooms. Brian and Dena DeMint are truly one of a kind. They forge their own path and do things their own way. If you’re looking for inspiration, empowerment, or maybe just a few good laughs, look no further. Brian DeMint is an art/fashion photographer based in Joplin, Missouri. Formally trained as an oil painter, he made the switch to photography in 2004 and is self-educated in both photography and digital manipulation. By combining the classic elements and principles of design in place of technically advanced equipment, he strives to create visually striking imagery with an emphasis on expressive color and unique fashioning. Brian’s publishing credits include: Digital Photo Pro, Cliche’ Magazine, Sessions Magazine, AfterCapture Magazine, Cut & Dry, Conceptual Magazine and many fashion based magazines. Brian lectures on a National level as a four-year speaker for Shutterfest, PPA State events, Imaging USA 2013, Canadian Imaging 2012, After Dark Workshops, Sandy Puc’ Tours and Inferno workshops and appeared on the PhotoVision DVD series. Jacquelynn Buck knows a good process is essential. It doesn’t need to be complex but it needs to be something that works and that you can actually implement. 2:02 Who is Jacquelynn Buck? 5:48 Why talk about your process? 8:31 What does it look like? 13:55 Why are consultations so important? 29:57 What about digital files? Jacquelynn is a portrait and wedding photographer based in Tucson, AZ & growing in Orange County, California. Whether in the desert or at the beach, Jacquelynn’s vibrant images are distinct and recognizable because of the lighting she incorporates into every image – shaping and shifting with shadows, exposing and softening with sunlight, building drama with off camera lighting, and wowing with sunflare. From dramatic to ethereal, she has a breadth of work that is both current and glamorous, set against everything from iconic vistas to classic studio backdrops. Boudoir photography is her first love, and her shadows, and light, combined with flattering poses have helped women across the US feel and look beautiful. Jacquelynn has traveled extensively, lived in 6 different States, and survived relocating her business while maintaining a strong client base all over the country. Jacquelynn enjoys fresh roasted coffee, fine food, rooftop bars, wine, & traveling to far off places. This is her 8th year teaching at WPPI. Jason Groupp’s life has taken some interesting turns. From successful photographer to working behind the scenes of WPPI to his current venture as President of Song Freedom/Fyrefly, he’s seen a LOT during his time in our “industry”. 2:10 Who is Jason Groupp? 27:16 Are things trending in a positive way? Jason Groupp is awesome. If you've met him it was life changing. He shot lots of weddings, then he worked for WPPI, then he moved to St. Louis and is currently studying the fine art of brisket BBQ rub. He also spends his days in the offices of Fyrfly-Songfreedom where he helps photographers and filmmakers find perfect music to bring life to their videos. Increase your productivity, creativity and resiliency while providing a client experience that makes them love you more and spend more, too! Take the risk out of your clients’ hands, and put it into your own. Make the art of photography second nature to your clients, allowing them to be themselves and relax in front of you. If you're feeling stuck in your business, your photography or your life, then this class is for you! Find your value and worth and apply it to every aspect of your business. Learn to put your personality into your branding, client experience, look and feel (editing) of your photography and your studio. Most of all, learn to have confidence in every aspect of working with your clients. 6:14 How Do You Get Away from Constantly Thinking About Your Business? 13:15 How have you pushed yourself? 18:28 What do you do to get there? Jacklyn's edge lies in her unique ability to engage and connect with people on a level that delves beyond the surface and into the deeper realm of energy and emotion. This comes, in part, from her extensive travels and immersion in foreign cultures with extended stays overseas in Italy and Australia. After earning degrees in both fine arts and environmental chemistry, she decided to follow her passion and add her intense voice with her inherent air of hyper-realism to the photography world. Her work has been featured in numerous bridal publications including the first gay wedding in Martha Stewart Wedding Magazine and the cover stories of Destination Wedding Magazine, Cake and Whiskey, and Grace Ormonde Wedding Style New England Magazine. She's also been honored with multiple awards in Junebug Weddings, Fearless Photographers, ISPWP, and PDN Top Knot's Contest. Phillip and Eileen Blume have built a successful business in what many would consider a "bad" or certainly "challenging" market. Find out what they've done to make it happen. 0:48 Who are Phillip and Eileen Blume? 23:04 What does implementation look like? 25:19 What’s it like working with your spouse? Phillip & Eileen Blume are award-winning photographers who believe in the power of art to change the world. Widely published, they work with wedding and portrait clients worldwide and are founders of ComeUnity Workshops for photographers. Their focus on humanitarian projects, such as their 2011 film Lost Boys of Paradise, benefits children in extreme poverty. As educators the Blumes have appeared on CreativeLIVE, shared their vision for more meaningful photography from the TEDx stage, and speak internationally. Phillip's published work can be found in Shutter Magazine each month at Barnes & Noble. The Blumes live with their children in Georgia, where they love hiking, good conversation, and spontaneous dance parties. Christine Tremoulet loves the power of “story” and thinks your clients do, too. She is all about blogging has some great reasons why. If you’ve never blogged, or have written it off, you may want to rethink your position. And if you currently blog, listen in for some great tips and advice. :33 Who is Christine Tremoulet? 1:18 How did blogging work in the year 2000? 8:55 Write your blog post first. It’s the center of the wheel. 14:01 Use social media as a funnel for your blog and what’s the ratio of business posts to personal posts? 15:52 What does your process for blogging look like? 21:11 How long does a blog post need to be? What does Google think? 23:36 How often should you post on your blog? 27:44 A blog is the land that you own. 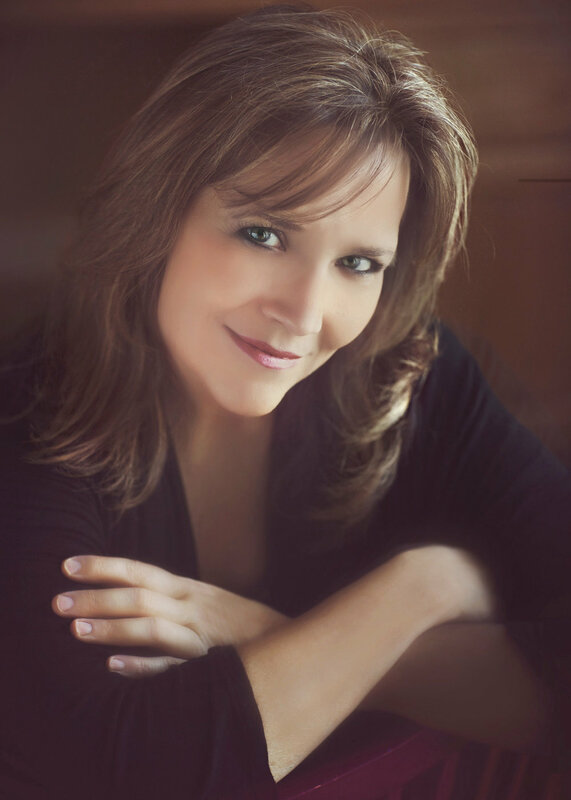 Christine Tremoulet is a photographer, sales and marketing coach, author, blogger and Podcaster. With a background as a Digital Marketing Strategist, Christine has helped countless photographers with branding, marketing and learning to sell in a way that feels right to them. Find Christine Tremoulet at thelifeboss.com. Kenny Kim has always been fascinated by the visual arts, especially the connection between art and photography. Combined with his love of travel and *culture, he has become one of the most respected and sought after destination wedding photographers of his industry. 1:57 What’s it feel like to be transitioning in a transitioning industry? 3:53 How important is it to go to conventions? 28:33 Where can people find Kenny Kim online? Since 2006, Kenny Kim Photography has quickly grown into a nationally recognized studio and Kenny’s work, which spans the globe in over 200 weddings and destination events, has been featured in the most respected photography periodicals such as: Destination Weddings & Honeymoon, The Knot, Chicago Social Bride, Shutterbug, The RangeFinder Magazine and various online publications including Grace Ormonde Wedding Style, Junebug Weddings, Style Me Pretty & more. Kenny has made TV appearances sharing his expertise about photography on: ABC’s Windy City Live, WCIU’s You & Me Talk Show, Chicago CBS Morning News, and even photographed an event inside The White House. He is also an approved speaker for Kodak Alaris. Kenny is the author of two books: Wedding Photographer’s Planner & Digital Wedding Photography Photo Workshop – both of which are comprehensive must-reads for any photographer looking to successfully execute a memorable wedding day shoot. Katie Cannon is a freelance photographer focusing on families, farms and food. She has taken a scenic path to a career in photography, starting as a human resources professional with a stop in food writing along the way. She is a mother, wife, friend, eater and adventurer and loves photographing it all. In just four short years Steve and Jane Pilkerton have built their wedding and portrait business from zero profits to six figures while becoming one of the most popular photography teams in Washington, D.C., and Virginia. By applying the right marketing methods for each stage of their work, they started off with a bang by participating in regional bridal shows and working intelligently to convert those opportunities into bookings and referrals. Now that their studio is constantly booked, they still use select events to promote their brand, along with a host of other savvy marketing techniques that keep them both busy and highly sought-after. Upbeat and energetic, with an entirely no-nonsense approach, it’s no wonder that Steve and Jane are now on the rise as experts in what it takes to build a successful photography business. Tomayia Colvin is a nationally published High School Senior Portrait Photographer in Houston that specializes in carefree, funky, and real portrait sessions that bring out the best in her clients – both inside and out. She hand-selects all of her products to ensure that they will be taking home museum quality pieces and sharing thoughtful keepsakes with friends and family. You can find her in the Humble, Kingwood, Atascocita, and Greater Houston area – having fun and taking care of her clients. She loves to travel and explore the world. Six Things about Tomayia: (1) I love, love, love photographing people that enjoy life to the fullest (2) I have two very energetic little ones that keep me on my toes (3) I am a full time mompreneur (4) I have a Bachelor of Science from the University of Houston-Downtown and a Master’s of Education from Houston Baptist University (5) Love all things pink and green – Alpha Kappa Alpha Sorority, Incorporated (6) I know I’m not alone in my love for shopping and a great pair of shoes! The creative mind behind Jack and the Box Photography is John "Jack" Petty—a 17-year-old entrepreneur from Rochester High School. Jack comes from an entire family of entrepreneurs and small business owners. Jack’s mother, Sarah Petty, is the founder of Sarah Petty Photography and the Joy of Marketing. His father, Joe Petty, is the founder of an architectural firm, JH Petty and Associates. Jack is a Boy Scout and currently working toward becoming an Eagle Scout. He is in the Rochester drumline, has helped out as an intern at WFMB-AM, and loves capturing video footage with his drone. He is incredibly tech-savvy and has a new interest in cinematography. When not taking part in his many activities, Jack can be found filming YouTube videos. Jack hopes to take part in the Sangamon CEO, a student entrepreneurial program during his senior year of high school. You will love his fun personality and dedicated work ethic. Sarah Petty is a New York Times best-selling author, highly-acclaimed speaker, author, MBA and coach who started her own boutique photography studio after working for Coca Cola for 20 years and then meeting the marketing goals of a top regional advertising agency’s clients. It was at this ad agency where she taught small businesses the value of a strong foundation and how they would grow with a strong brand. She attributes the rapid growth of her boutique photography studio, which was named one of the most profitable in the country within just five years in business by PPA, to the creation of her own strong brand. Carl is a South African born speaker, teacher, & singer-songwriter who lives in Atlanta Ga. Husband to the love of his life, Kathryn, for the past 10 yrs. Dad to 4yr old Charlie and 2yr old Kaitlyn. Conversation & community are his two main passions. Oh....and Manchester United. 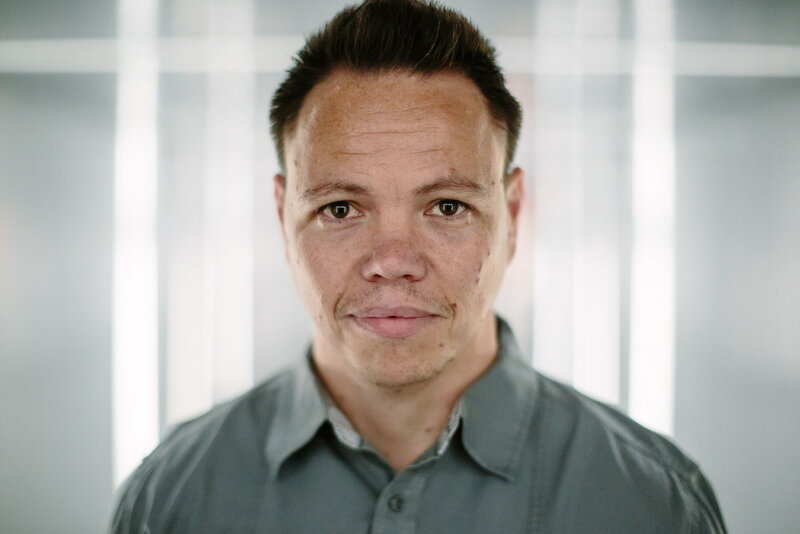 He currently co-hosts a podcast called Thrive NeuroTheology with his brother Dr. Jerome Lubbe about the intersection of science and spirituality. As the child of photographer parents, it would have been natural for Gary to step right in to the family business, but he had to go out and try pretty much everything else before finding his way back to photography. In the 13 years since picking up a camera he has earned local and national awards including 3 Gold Medals and an Imaging Excellence Award from the International Photographic Competition. His work has been featured in Professional Photographer Magazine, Shutter Magazine, Professional Image Maker and he has published multiple articles on photography for the Huffington Post as well as an educational book, Photographing Headshots. He holds the designations of Master Photographer and Affiliate Juror with the Professional Photographers of America and most recently had an image selected in the top ten for the Grand Imaging Awards. He lives and works in Orlando, FL with his wife and two daughters. 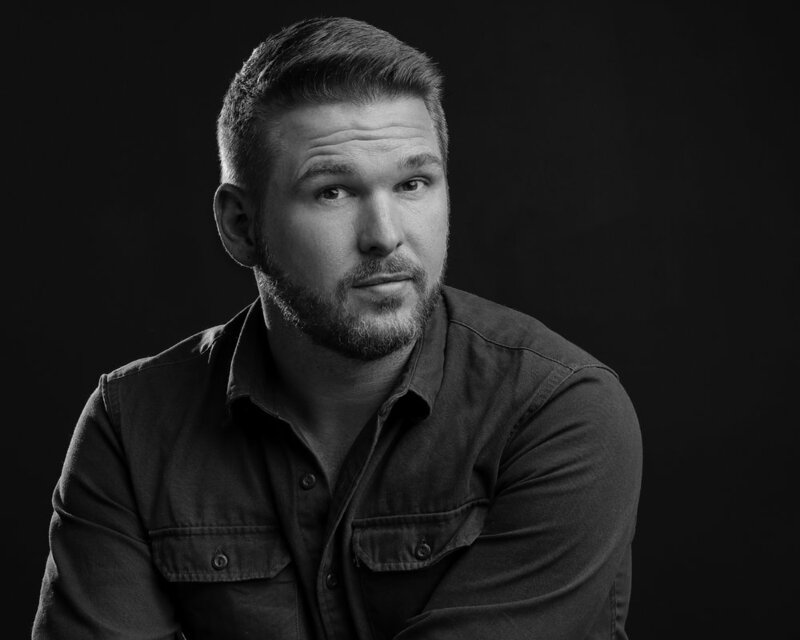 Named the “Most Influential Photographer on the Internet” by Huffington Post, Forbes and Yahoo in 2014, Jeremy Cowart is an award-winning photographer, artist, and entrepreneur whose goal in life is to use his creative platform to inspire and help others. Jeremy has published four books and is a sought-after speaker, having presented at TEDx, the United Nations, and creative conferences across the country. His latest endeavor is The Purpose Hotel, a planned global for-profit hotel chain designed to fuel the work of not-for-profit organizations. He’s the founder of a global photography movement, Help-Portrait, a mobile social networking app called OKDOTHIS, and an online teaching platform, See University. He lives in Franklin, TN with his wife and four children. Jared Platt is an international wedding, portrait and lifestyle photographer and photographic lecturer. You can see him online at creativeLIVE teaching Lightroom and Photography, on youTube for Profoto's light shaping series "What's the Difference" and catch him at International photo conferences around the globe. Jared has been teaching photography for 20 years and has been a working photographer for the last quarter century. Jared will change your understanding of photography and put you on the path to your very best work. Don't miss the opportunity to learn from him whenever you get the chance. Also, here is the image he references at the end. And, a blog post from the wedding. Teri Fode is an award-winning photographer specializing in fashion-inspired teen and senior portraits that also grow into family portraits, boudoir and headshot opportunities. She has created a successful luxury brand in her market, having started 13 years ago by growing from a small in-home production studio using the client's home for sales and consults into a boutique-style brand. She is passionate about offering an unforgettable experience and has grown her business with a high client-return base. Teri is also the creator of VoiceYourBrand.com, teaching photographers how to market their own brands on purpose and with intention using actionable systems and strategies. Kira Derryberry is a portrait photographer based in Tallahassee, FL. She’s a Master Photographer, Photographic Craftsman, Certified Professional Photographer, and a Director for the Professional Photographers of America board. Kira is an active competitor in both the state and International Print Competitions and earned silver medals in 2014 and 2015 and a Platinum medal in 2016 at IPC. Her Loan Collection Image, “The Skeptic” was featured on the March 2016 Cover of Professional Photographer Magazine along with a feature article on her work. Alongside her heavy participation in her local and state association, Kira proudly serves as a member of the board of directors for the Professional Photographers of America. Kira also shares her knowledge with her fellow photographers as a Spider Holster Ambassador and a Tether Tools Pro. Kira got her start in photography in high school then graduated with a BA from the University of Alabama with photography as her focus. Knowing how to shoot, but not necessarily how to start a business, Kira leaned on her experience as a web designer for work, taking a job at a Tallahassee based advertising agency for 5 years before opening her studio in 2010. Since her studio opening, Kira has developed a strong client base in portraits ranging from children and families, to headshots, commercial work, and boudoir. Kira and her husband Kevin have been together since 2002, and together they have a seven year old daughter, Lucy. When not slinging a camera, she spends much of the remainder of her free time playing video games and watching bad science fiction. Bry Cox is a Gold Medalist out of 25,000 international photographers. He speaks for Adobe, WHCC, is a PPA Master/Craftsman many times over, and is Certified. Bry’s owned a studio in Utah for over 20 years, he’s been teaching workshops throughout the US and Canada for over a decade, and has created many videos, plugins, and books for photographers to rave reviews. He photographs prominent people such as LeAnne Rimes, Olivia Newton-John, David Archuleta, Natalie Cole, Kenny Loggins, Linda Ronstadt, Steve Forbes, Mitt Romney, and the last four Utah Governors. We’re Eric and Kristen, a husband and wife wedding and elopement photography team based in Illinois. We’ve been married for four years and have been together for almost nine, a miracle considering I (Kristen) sent Eric a rejection message via Facebook messenger nine years ago! But his suave persistence and sarcastic charm finally won me over. We prefer to spend as much of our time as possible outdoors and enjoy mountain biking, traveling, trying weird food and exploring new places. Although to be perfectly honest, there’s many nights we end up binge watching The Office while eating frozen pizza on the couch. Relationships are the heart and soul of our business. We place a huge emphasis on getting to know our couples during their engagement because we believe that strong relationships lead to even more beautiful, meaningful images. We work with many couples but those who approach their day with a non-traditional mindset are our bread and butter. Free spirited couples who are passionate about each other and choose to put their own unique spin on their wedding for a day that truly reflects them as a couple is why we love what we do. When it comes down to it, the moments are what matters most on wedding days. We approach every wedding with a documentary approach to capture as many of those moments as possible for our couples. While our business is still in its infancy at three years, we’ve been enormously blessed to have many opportunities in this industry, not to mention the incredible couples we’ve had the honor of serving. Photography has taken us all over the world to document couples in love and we’ve also had opportunities to host and teach at workshops, mentor photographers, have our work published in wedding publications such as Junebug Weddings and Brides as well as receive awards such as Best of Weddings from The Knot. To see more of our work, check out mentoring information, or just say hey, look us up at www.kristenkaiser.com and www.instagram.com/kristenkaiser. Many people feel the portrait photography business is struggling, and both experienced and new photographers see their struggles as unique. Kia Bondurant spent the first 15 years of her photography career as a co-owner of a well-established portrait studio. For the last 5 years, she has built up a small-scale photography business in the new economy. Because of her successful experiences on both ends of the spectrum, Kia believes that professional portrait photography has a bright future. During her career, Kia has been featured on the cover of Professional Photographer magazine twice, named the Kansas Photographer of the Year, the national Senior Photographer of the Year and has both her Masters and Craftsmen for PPA. She was awarded Icon Status with the Hot 100 for Senior Style Guide and was named one of the top 100 Portrait Studios in the Country by Arnold Clark.